Betfred UK welcomes all its new customers with a great first deposit bonus. 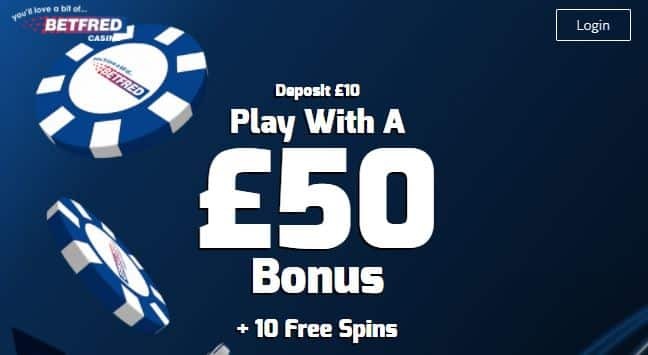 Create your account today using the promo code, make a deposit of at least £10 and £50 will be instantly credited to you along with 10 Spins that will be available the next day. The bonus amount needs to be wagered 50 times before you can cash out any winnings. The Spins can be used on Genie Jackpots, King Kong Cash, The Naked Gun or Ted. They come with no wagering requirements. Play now and have fun winning huge rewards!